Rachel Dodge fell in love with books while listening to her mother read--in their home, at the doctor's office, in the car, and even in the middle of the night when she had the chicken pox! 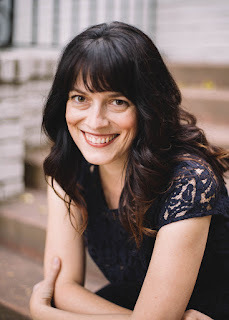 With a children's author for a grandmother and elementary school teachers for parents, she grew up in a world filled with books and peopled by literary characters. Today, Rachel is a college English instructor, author, blogger, and speaker. With a B.A. in Creative Writing from the University of Southern California and an M.A. in English Literature from California State University, Sacramento, she teaches writing and literature classes and speaks at libraries, teas, and literary groups about Jane Austen, her life, and her novels. She is also a regular contributor to the popular Jane Austen's World blog. Rachel is passionate about telling stories that bring God glory. Her goal is to elevate Jesus through writing in order to encourage others to grow closer to God through prayer and Bible study. She enjoys exploring the intersection of faith and fiction in her own writing and is happiest when reading or writing. Rachel makes her home in California with her husband and children. She loves old houses and architecture, beautiful gardens, anything British (including period dramas! ), spending time with her family, attending church, mentoring young adults, and exploring new worlds through reading and writing. This book touched my heart in so many ways! My love for God and my love for Jane Austen is met with a lovely book filled with Scripture and wonderful quotes from the Jane Austen books. The cover of this book is so beautiful and the inside even more so with it's beautiful writing and faith-filled pages. I really liked the introduction and how Rachel gives us a glimpse into the heart of Jane. 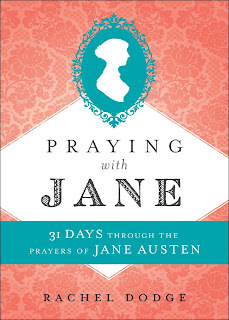 Then there are three beautiful prayers written by Jane Austen dispersed throughout the book. These prayers touched my heart so much! Her eloquent words and reverence for God are so beautiful! However, it is Rachel's writing that really drew me in and inspired me. She writes not only about Jane and her writing, but brings it all together with Scripture in a wonderful way. This book touches my woman's heart and gives me a longing for God and His Word. I love a book that makes my quiet time with God more meaningful. I love that this book focuses on prayer. Each day starts with a beautiful quote then a devotional focusing on Jane, her faith, and Scripture. We then have an invitation to pray, then a final prayer for the day. Each day then has a Scripture that focuses on what we have read and learned. Prayer is the main focus on this book and that is so important and has made a real difference in my quiet time prayers. I love this book, as I'm sure you can tell. 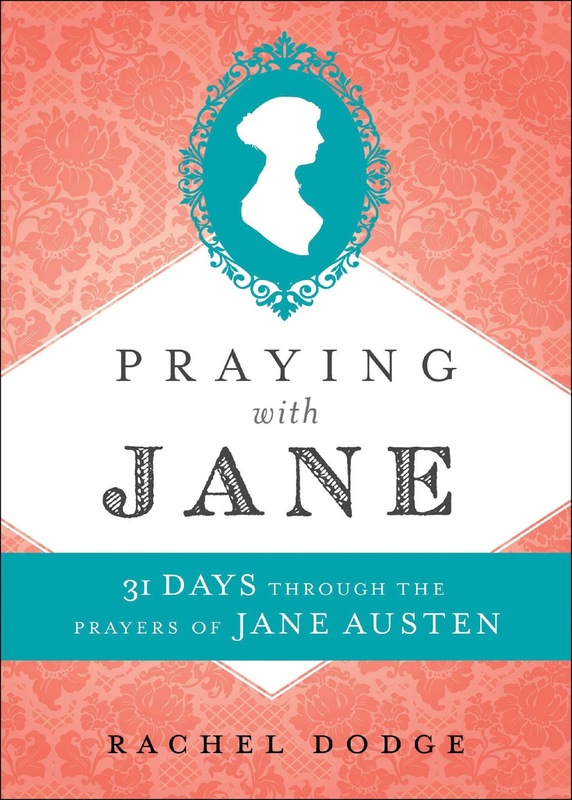 This is a wonderful book for any woman looking for a deeper prayer life and, for the Jane Austen fan, this book is a must have! I highly recommend this book and give it 5 out of 5 stars. *This book was provided to me by the author. I received a copy of this book to review but I was not financially compensated in any way. The opinions expressed are my own and are based on my observations while reading this book.